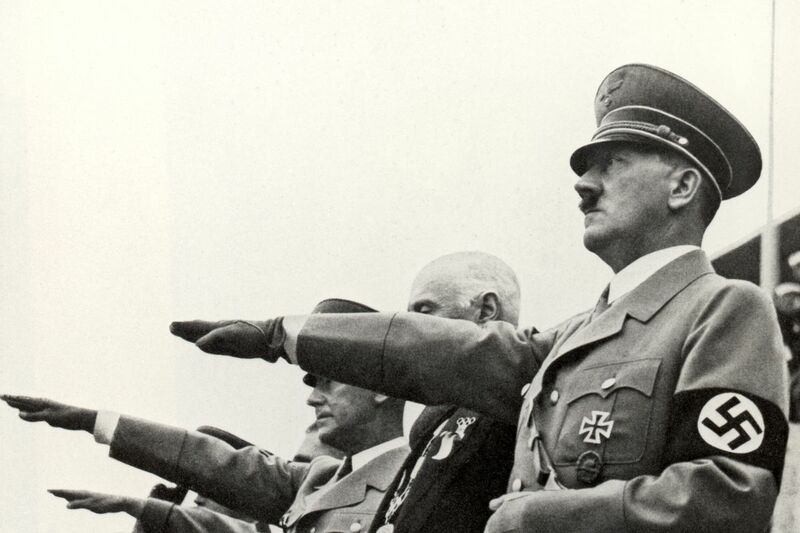 Adolf Hitler at the 1936 Berlin Olympics. Usually, comparisons between Donald Trump’s America and Nazi Germany come from cranks and internet trolls. But a new essay in the New York Review of Books pointing out “troubling similarities” between the 1930s and today is different: It’s written by Christopher Browning, one of America’s most eminent and well-respected historians of the Holocaust. In it, he warns that democracy here is under serious threat, in the way that German democracy was prior to Hitler’s rise — and really could topple altogether. Browning, a professor emeritus at the University of North Carolina, specializes in the origins and operation of Nazi genocide. His 1992 book Ordinary Men, a close examination of how an otherwise unremarkable German police battalion evolved into an instrument of mass slaughter, is widely seen as one of the defining works on how typical Germans became complicit in Nazi atrocities. So when Browning makes comparisons between the rise of Hitler and our current historical period, this isn’t some keyboard warrior spouting off. It is one of the most knowledgeable people on Nazism alive using his expertise to sound the alarm as to what he sees as an existential threat to American democracy. This is the key point that people often miss when talking about Hitler’s rise. The breakdown of German democracy started well before Hitler: Hyperpolarization led Hindenburg to strip away constraints on executive power as well as conclude that his left-wing opponents were a greater threat than fascism. The result, then, was a degradation of the everyday practice of democracy, to the point where the system was vulnerable to a Hitler-style figure. Now, as Browning points out, “Trump is not Hitler and Trumpism is not Nazism.” The biggest and most important difference is that Hitler was an open and ideological opponent of the idea of democracy, whereas neither Trump nor the GOP wants to abolish elections. I’ve observed this kind of modern authoritarianism firsthand in Hungary. In my dispatch after visiting there, I warned of the same thing as Browning does here: The threat to the United States isn’t so much Trump alone as it is the breakdown in the practice of American democracy, and the Republican Party’s commitment to extreme tactics in pursuit of its policy goals in particular. We are living through a period of serious threat to American democracy. And Browning’s essay, a serious piece by a serious scholar, shows that it’s not at all alarmist to say so.